Annoyed to the unwanted spam calls on your Android phone, here is a solution to stop this. The Robokiller app instantly blocks over million telemarketers and robocalls from ringing even if they are in a disguise of spoofing or keep changing their numbers. With the Robokiller app, the users can take back their mobiles take revenge from the spammers. The users can answer the spammers with confidence. Robokiller is the winner of FTC’s anti robocall competition. 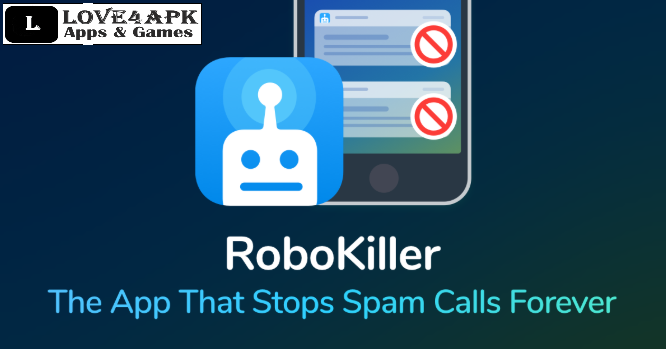 The New York Times, ABC World News, NBC, Wired, Engadget, Vice etc are stunned about the Robokiller app’s ability which helps the users to block more than 1,100,000 spam calls. Go ahead and subscribe to the app both with the monthly and yearly options. You also get a free 7-day trial where you also have the option to opt out any time without you bring charged a penny. The Robokiller app blocks unwanted calls by 90% in 30 days. The app is available in the Google Play Store and Apple app store. The app was developed by Ethan Garr, Vice President at Tel Tech Systems. Unlike other apps, the Robokiller app does not just block the app but also answer the phone with the help of Robokiller Answer bot. Answer bots are robots of our own who talk back to the spammers and waste their time just as these spammers do to annoy us. The app boasts to have more than a million spammers on its list. This gives a great relief to the user as it gives him 90 percent reduction of spam calls in a month. The user just needs to enable to the answer bot feature in the app and the bot will, in turn, keep the spammers busy. The app Robokiller records the call and analyses each and every voice. It also stores all the phone numbers having similar vocal fingerprint and thus blocks the unwanted calls in the future. The app also has Super Caller ID which helps the users to know who is calling. If a spam caller modifies the caller ID to make it look local, the app also has a feature against Neighborhood Spoofing. The app also gives you access to all the calls that have been blocked or sent via Super Caller ID. Make your own list of allowed and blocked callers with the app. The app gets your control back on the mobile with revenge too. The app is helping the users to free themselves from the telemarketers and dangerous spam calls. The creator of the app Ethan Garr says that the app almost wastes about 15,000 hours of spammer’s time every month. So in a way, the Robokiller app not only blocks the spam calls from your phone but also takes an act of sweet revenge by driving them nuts. The app is easy to set up and is free but you have some premium services through the In-app purchases.